Shopping for the cheapest Macintosh computer model currently available? 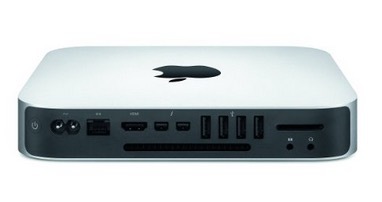 With the release of the newest Mac mini desktop computer in Late 2014, the Mac mini base model shaves a hundred bucks off it's predecessor and pares the list price down to $499 - a new price low making it the lowest-cost Mac mini ever sold, and the cheapest Mac desktop computer ever offered. You could say this price cut is long overdue when commodity value-priced desktop Windows PC's have easily hit the $249 - $399 price range. So at least Apple is moving in the right direction. What's the tradeoff for the cost savings? Besides the ongoing general trend of lower electronic component costs, Apple has opted for a modest 500Gb hard drive, and a SLOWER CPU clock-speed in the Intel i5 processor down to 1.4Ghz. Yes, it's slower than it's predecessor, but for the average Mac user at home, it's dual-core CPU can handle everyday tasks with ease regardless. Remember, with TurboBoost, Intel processors can temporarily throttle up their clock speed when they're doing demanding tasks as needed. But don't underestimate this super-cheap Mac mini Late 2014: In addition to quad SuperSpeed USB 3.0 ports - it also features an upgrade to the latest 2nd generation 20Gbps ThunderBolt 2 interface, an SDXC card slot, HDMI video, Gigabit Ethernet that you can hold in the palm of your hand. And if you need more there are certainly higher-end models and build-to-order options to get an SSD / Fusion drive and much higher clock speed CPU if your wallet wants it.